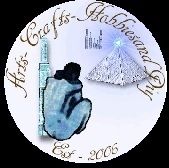 Hello, welcome and thank you for visiting Arts-Crafts-HobbiesandDIY.com. I hope you have a good day and find what you are looking for within our site. If you have any comments or resources that you feel would improve our site please feel free to Contact me. I am always open to suggestions on good resources including links and articles to add to our content. Included below are brief descriptions of some of the content within the site together with some quick links. Please enjoy. Within our craft categories, you will find free craft links together with craft resources on a wide and varied range of subjects from Basket making to Sewing. Included in our pages are excellent craft tutorials as well as some of the best illustrated and detailed guides on jewellery making and beading, you will find online. There are Free Knitting, cross stitch and crochet patterns together with Craft projects that you can make plus craft ideas that are in line with the current national curriculum from building your very own Model Pyramid or WWII Anderson shelter to an Easter Daffodil or Egyptian Crown. In the Art categories, there is a wide and varied range of Online art stores where you can purchase museum-quality Oil paintings or original artworks and art prints. There are also some exceptional art tutorials including Graphite and coloured pencil drawing. Beginner to advanced airbrushing video's and tutorials. Oil Painting tutorials, Water Colour tutorials and Acrylic painting tutorials, with categories varying from landscapes to portraiture. There are also some biographies on a few of my favourite artist's such as Pablo Picasso and William Bouguereau. For parents and teachers, we have a wide range of kids educational arts, craft and. educational teachers resources that can be found by visiting our Kids art education or Kids craft pages with links to a wealth of easily accessible Online Teaching resources. These include arts and crafts games, Math, literacy, Ks1 learning through to advanced level. Our educational resources cover a vast range of subjects to help you plan lessons and engage your pupils. It is important the learning is both engaging and enjoyable for any pupil. Home Improvement, DIY, Gardening & Bonsai. If you are a Do it yourself kind of person our DIY and Home improvement categories are just for you. Contain anything from How to cheaply Secondary Glaze a listed building. How to build your own Banjo, fitting central heating and many many more home improvements tips and resources there is plenty to learn. Also, you can find gardening tips and will be able to create your perfect garden using gardening design downloads. Set up in 2006 as an Arts and Crafts pixel advertising site and based on the Million Dollar Homepage that was conceived and created by Alex Tew a 21-year-old student from Cricklade in Wiltshire and the original founder of pixel advertising who built and sold out the first Million Dollar Homepage, raising it was said over $1,037,100 Having some success with our version of an advertising pixel site. That alas no longer exists, as, as with all novelties and advertising trends, the novelty soon wore off. We decided to extend our content and links to focus more on what we believe our visitors wanted. Good quality, easy to understand useful content. You will also notice that our link pages are not full of endless lists of links. This is because we try to limit our links to what we believe are the most useful for our visitors. You can learn more about our journey and be kept up to date by reading Our history. Arts-Crafts-Teaching resources-DIY-Gardening-Bonsai-Home Improvement and DIY.